By changing the source language to the target language for the label and then adding the label translation to the required attribute on its edit page. By updating the attribute label translation directly on the Translations page. You may find option 1 less time consuming and more straightforward. However, with option 2 you can search for any attribute labels or entity fields within a single Translations table. 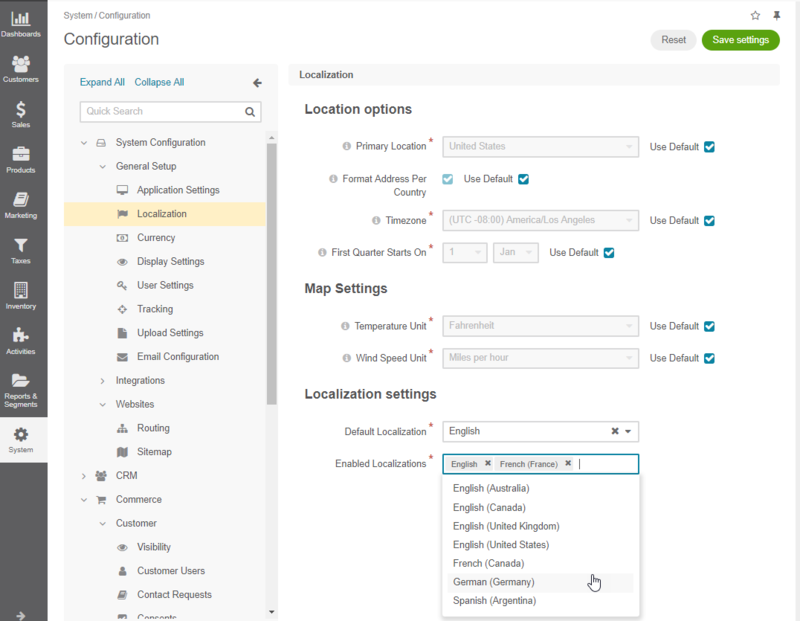 Navigate to System > Configuration > System Configuration > General Setup > Localization in the main menu. 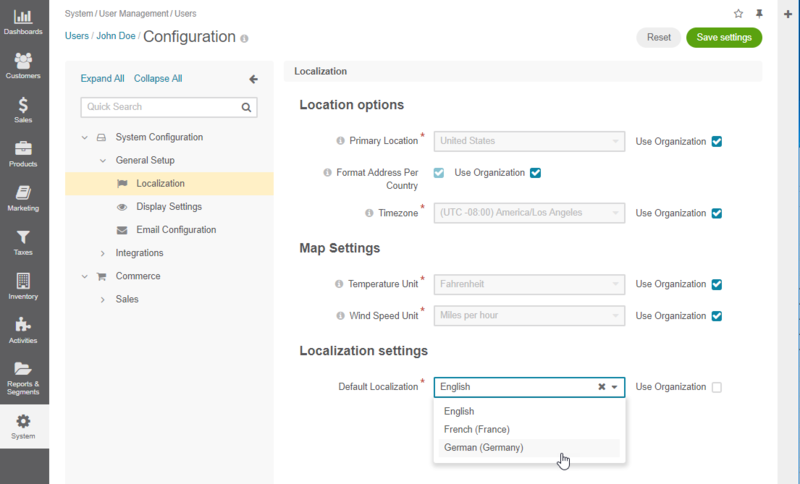 In the Localization Settings, select the required language from the list to add to Supported Languages. Make sure you have enabled the corresponding language(s) in the System > Localization > Languages menu to make them available in the list. Navigate to your user configuration by clicking on your user name on the top right of the page and clicking My Configuration. Clear the Use Organization checkbox and set the language that you have just added (e.g. German) as the default language for the UI elements displayed in the management console. Navigate to Products > Product Attributes in the main menu. 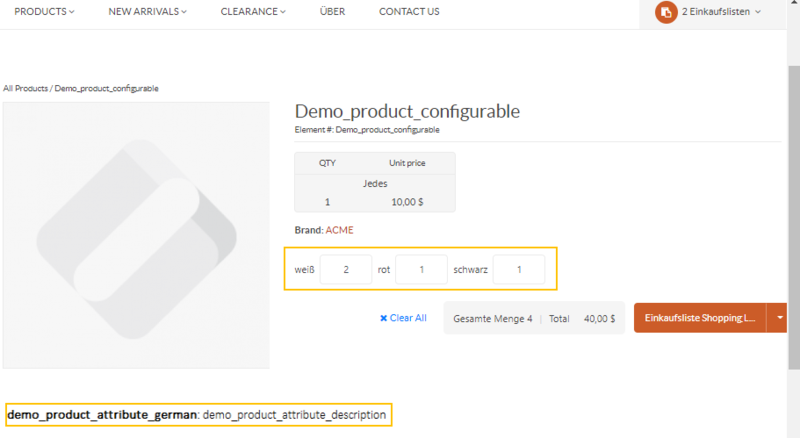 Open the edit page of the required product attribute. Update the text for the label. Keep in mind that if an attribute is of a select or multi-select type, you can provide a proper translation to its options directly from the attribute edit page. Click Save and Close (or its version in your default language). Update the translation cache by clicking on the link in the pop-up dialog. Once you are redirected to the translations page, click Update Cache (or its version in your default language) on the top right. The product attribute label and it options are updated in the storefront. 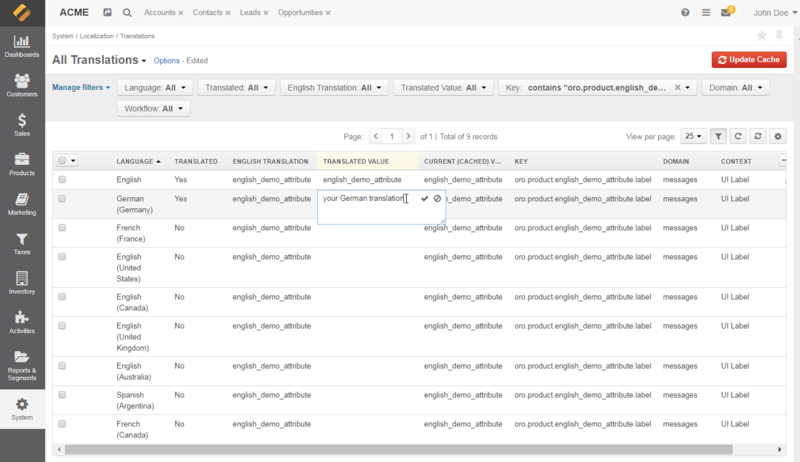 To translate a product attribute label from within the Translations grid, navigate to System > Localization > Translations in the main menu. Please note that when an attribute is created under a non-English localization, English translation is absent.